My son needs help. We as a family need help. As a mother I do not think that I can handle watching my son die. I want to see my grandchildren grow. My son has struggled with a opiate addiction for many years. He has been to rehab short term a couple of times he has been to Suboxone clinics but distance has caused problems with that. He is a good father to his almost two year old son. I cannot enable him. He has depression issues, anxiety, bipolar and probably misdiagnosis for other things. He does not work. He cares for his son while his wife works. He cannot be left with this child. My son could end up dead in front of his child. He has not showed any signs of mental status change but admits he is using heroin. As a family and friends we no longer can do anything. He has no place to live, no money and no family. He is at another addicts home at this time. He has always been a follower and this puts the others in control. His biological father has similar addiction issues and his half sisters also do. These are the family members that he was not raised with. Insurance coverage is a big deal with any medicaid affiliated program it is very hard to find any place that will take him or if they do it is not for long enough. He needs life skills, he needs confidence, he needs a job and he needs to be disconnected from all his family and associates so he can find himself and this does not happen overnight. He is a otherwise healthy/handsome/intelligent 30 year old man with a supporting family and extended family. I know these are my opinions but the whole family is on the same page with this. I love your shows and it is very apparent that you know the need for mental health care support. Comments for My son needs help!?! Sounds like he needs long-term residential rehab with dual diagnosis treatment. As you tell your son's story, it's hard for me to imagine the agony you and your family are feeling. Opiate addiction is a disease of the brain and OFTEN co-occurs with other mental health issues. As you said, if this is left untreated it is likely to be fatal for your son. Because this is likely a life and death situation, you have two options: Get your son into a free long-term (at least a year) residential rehab or call the police and get him put into jail so that he CAN'T use. Teen Challenge which has a one year free adult residential program. It is Christian based and is a great program for you son if he is willing to be away for a year. I know he will miss a year of his son's life but when he returns to him he will no longer be drug addicted and he will hopefully be a much better father for his son. "For over 100 years The Salvation Army’s Adult Rehabilitation Centers and Harbor Lights programs have provided spiritual, social, and emotional assistance for men and women who have lost the ability to cope with their problems and provide for themselves. Centers offers residential housing, work, and group and individual therapy, all in a clean, wholesome environment. Each program participant is provided with a clean and healthy living environment, good food, work therapy, leisure time activities, group and individual counseling, spiritual direction, and resources to develop life skills and a personal relationship with God as provided by Jesus Christ." If your son is willing to enter either of these programs that would be the best choice for him. If he is not, then I would call your local police department and ask them for their advice to get him to stop using heroin. I know jail sounds harsh but I can't tell you how many people I know that have cleaned up while they're in jail. Your son HAS to feel the FULL consequences of his drug use to get through to his diseased brain that his only choice is to quit using. Jail or the threat of jail can often do that. The final recommendation I have is for you and your family. Please start attending Al-anon meetings two times a week for the next six months. Al-anon will teach you the 12 step program and about addiction. You will also get a sponsor who has been where you're at and help you to navigate all of the resources available for you and your son. The more you learn about addiction the more you will be in a good position to help your son and the rest of your family. That was a heart breaking story from a mother seeing her child suffering from addiction. Addiction can't do nothing but ruin your life and your families heart seeing your not okay. Opiate addiction is not easy it might cause death from cardiac or respiratory arrest.You have been mentioned that he was rehab for short term or a couple of times. 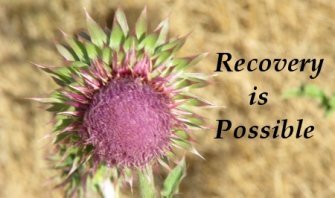 The rehab or recovery center can really help like drug rehab mesa az you just have to be willing.